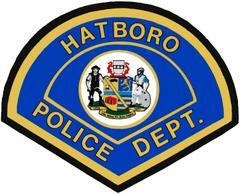 Hatboro Police to participate in "Click it or ticket" Thanksgiving seat belt enforcement initiative. Hatboro, PA – Hatboro Police Chief James E. Gardner today announced that the Hatboro Police will participate in day and night seat belt enforcement activities as part of the national Thanksgiving “Click It or Ticket” Enforcement Mobilization from November 19 through December 2. Additional traffic enforcement patrols are being scheduled during this time. The Hatboro Police Department will partner with 250 other law enforcement agencies across the state in an effort to increase seat belt use and reduce the number of unbelted injuries and deaths. Departments will dedicate 50 percent of their enforcement time after dark to increase seat belt use when unbelted fatalities increase. According to the Pennsylvania Department of Transportation (PennDOT) 2017 statewide data, 378 people killed in crashes were not wearing a seat belt. This program is made possible through funding provided by PennDOT. Remember, please drive safely and always “Buckle Up”!